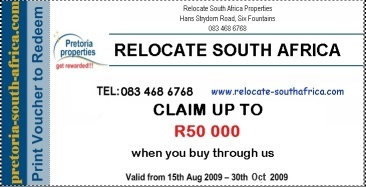 Relocate South Africa: Check this Pretoria Real Estate Agency for cash back vouchers. 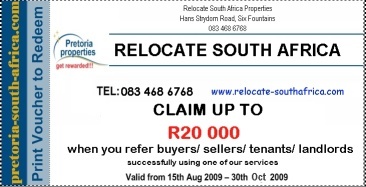 Rent Pretoria Property and get paid for it. 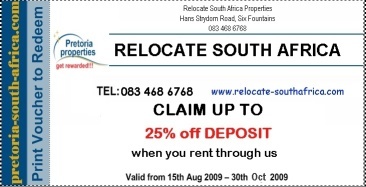 Originally established to assist expats relocating to South Africa, Relocate South Africa offers a wide range of services. We customize our services to meet the needs of every client. 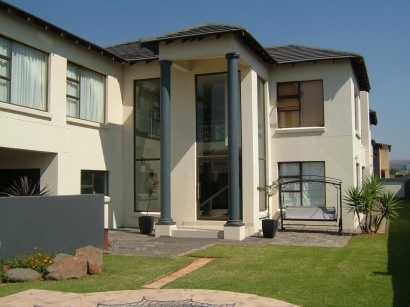 RelocateSA will identify the homes that meet the clients needs and budget, negotiate with the seller to get the best prices, negotiate with the banks to get the best interest rates and advise on the whole process of buying. 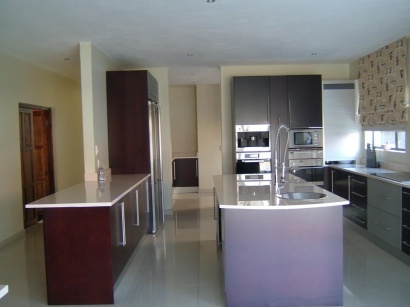 The rental terms will also be negotiated with landlords when clients need to lease their homes. buy and therefore want to rent for a long-term. This is also arranged according to the clients specifications. School searches should be done taking into account the proximity to home, language medium, curriculum and cultural background. In most cases the school systems that are similar or as close as possible to the ones of the former schools are selected to ensure easier adjustment for the children. RELOCATESA keeps the database of all schools in each city. If the client needs transportation whilst they relocate to South Africa, RelocateSA will be of assistance in taking them around the city. City orientation is necessary to get acquainted with your neighbourhood. The client will be taken to shopping areas and other important places for them to be able to adjust with ease. Itineraries Our corporate clients will have their meetings arranged when necessary. Our well researched Industry Reports per clients request will be provided. This is a customized report which includes marketing statistics and qualitative information per sector of interest.